A romantic gift to express your love - we'll leave the name up to you. 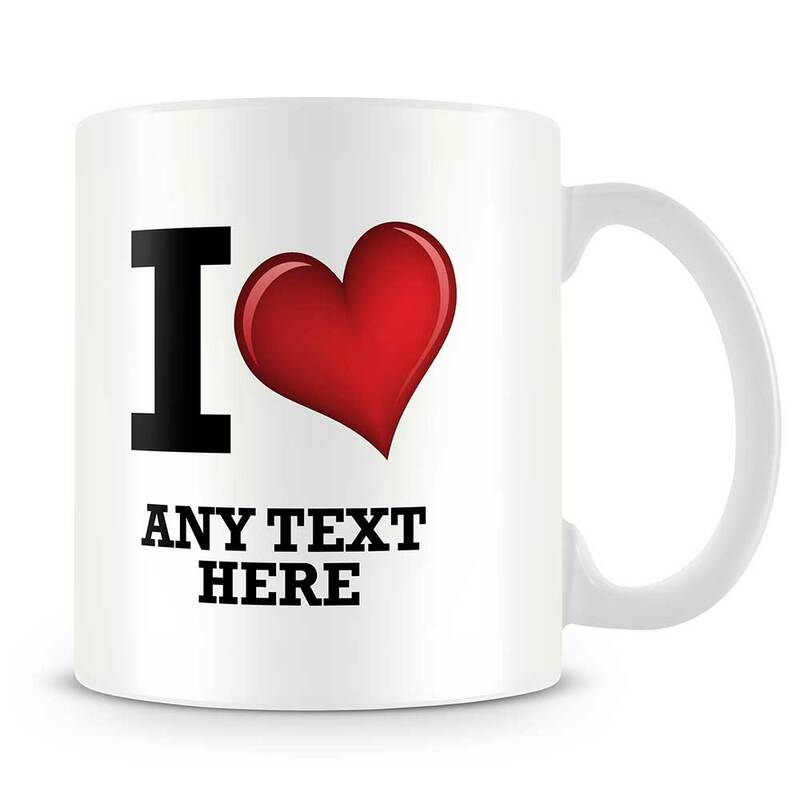 Makes a fantastic gift and enjoyed everytime they enjoy a cuppa! Perfect for Valentine's or any romantic occasion. 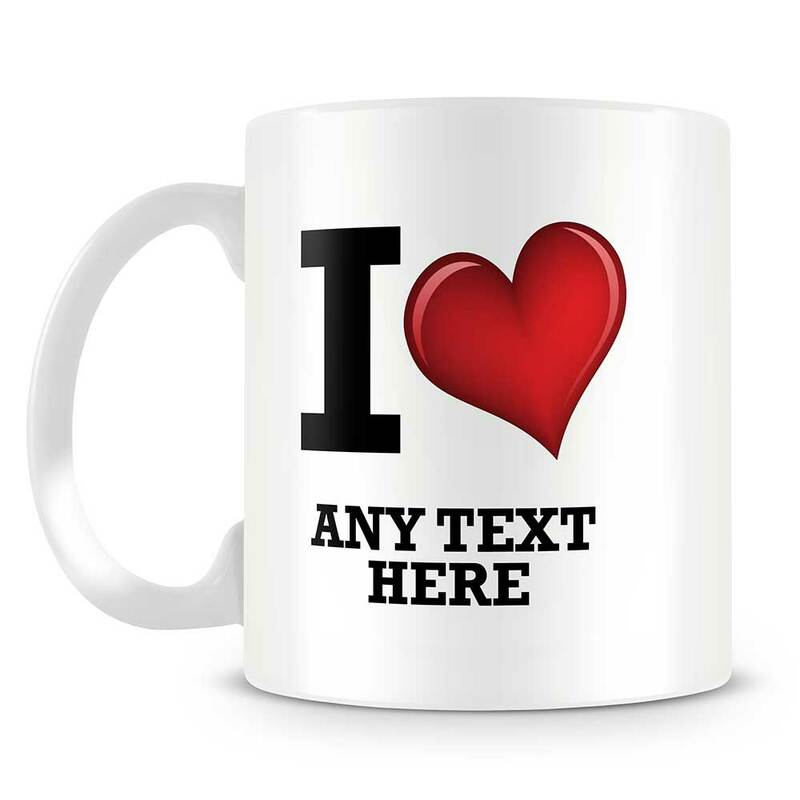 This mug is personalised with the text: I [HEART] [YOUR TEXT].